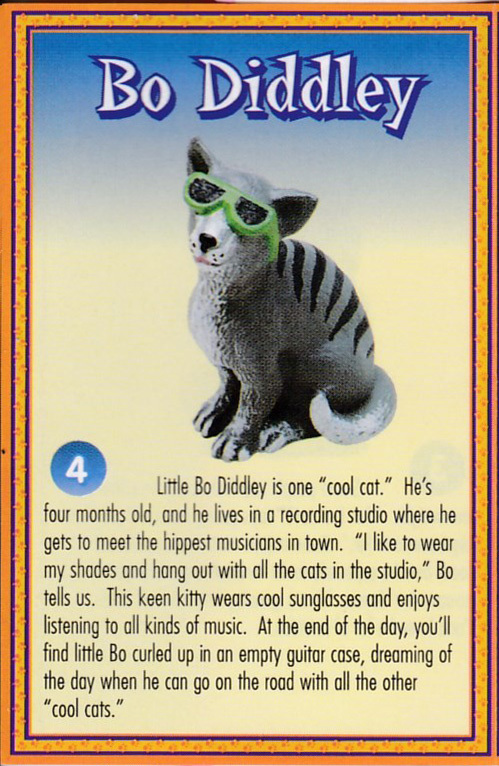 Little Bo Diddley is one "cool cat." He's four months old, and he lives in a recording studio where he gets to meet the hippest musicians in town. "I like to wear my shades and hang out with all the cats in the studio," Bo tells us. 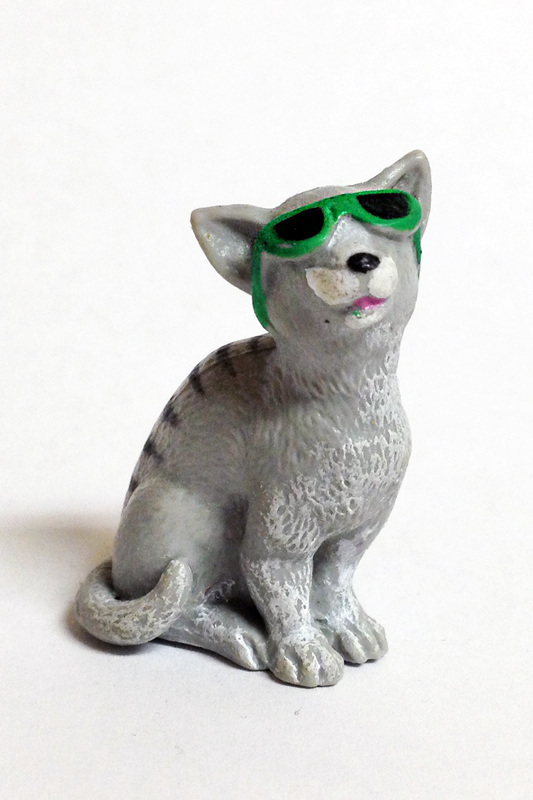 This keen kitty wears cool sunglasses and enjoys listening to all kinds of music. 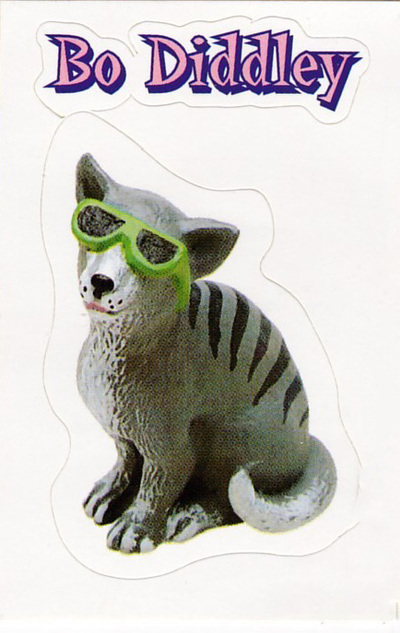 At the end of the day, you'll find Bo curled up in an empty guitar case, dreaming of the day when he can go on the road with all the other "cool cats."